Here’s the premise: A relationship is an ongoing process of co-creation, for better or for worse. This important videotape takes this essential concept and shows couples how to put it into action – for better. 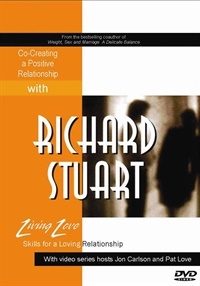 Working with real couples, Dr. Stuart demonstrates a series of exercises he has developed to help them clarify areas of discord and to acknowledge common ground. By delineating pockets of responsibility and forging a greater understanding of oneself and one’s partner, the process – and the promise – of co-creating begins to unfold. 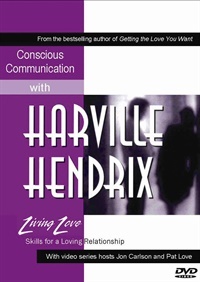 Harville Hendrix, author of the bestseller Getting the Love That You Want, shows how to develop conscious communication. He teaches mirroring, validating one’s partner, empathy and requesting behavior change. 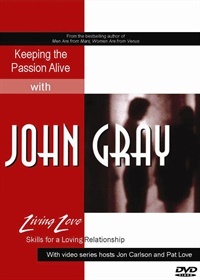 He offers very clear guidelines as he helps couples master these essential relationship skills. Our relationship feels like it is slowly slipping away, but I just don’t know what to do to stop it… How many of us feel disappointed in the one relationship we had thought would bring us happiness? Now, Drs. Kathlyn and Gay Hendricks demonstrate an approach that will open the door to greater mutual satisfaction, to a future of positive possibility. Theirs is a uniquely holistic approach to relationship enhancement: from breathing exercises that help partners to interrupt old destructive patterns to a series of activities designed to foster vital communication, even in the smallest spaces we share. The author of numerous books, including Divorce Busting and Getting Through to the Man You Love, Michele Weiner-Davis teaches couples concrete skills for getting out of relationship ruts and managing conflict before it escalates. 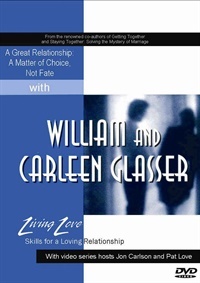 Her practical approach helps the broad range of couples to identify — and to effectively use — hidden relationship strengths, allowing them to become their own marital experts.